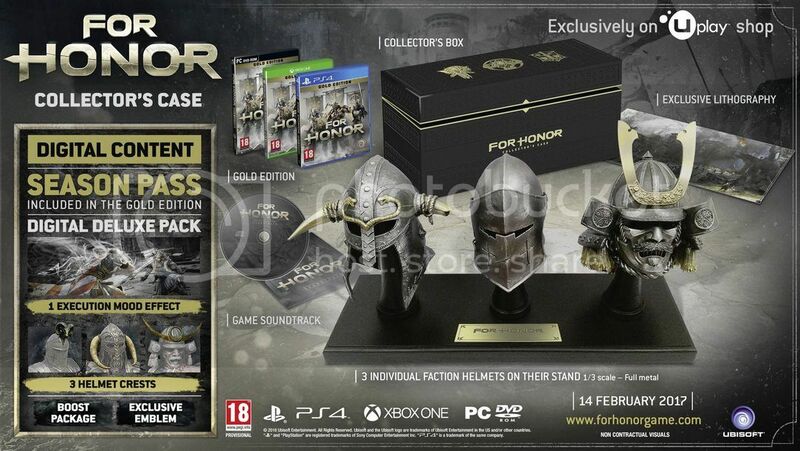 For Honor is just around the corner and here's some unboxing vids of their Collector's Editions. First up the Apollyon Collector's Edition..
That is 1 badass statue of the main villain of the game. I wasn't too keen in getting the CEs for this game initially but my interest in For Honor has increased tremendously after the Closed Beta. This is definitely tempting me a lot..
Also kinda interested in this. The helmets are pretty heavy so that's good.. they won't feel cheap..
Looks like the positioning of the helmets can be switched so I'll be putting the Viking helmet in the centre and dumping the other 2 in the bin!